If using a blender, blend all ingredients and enjoy. If using a juicer, blend all ingredients except for acai smoothie pack and sweetener. 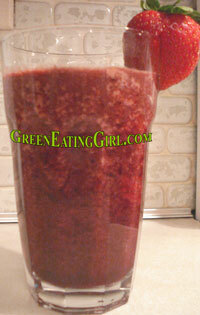 Pour juice in to large glass and stir in acai smoothie pack and sweetener. Looking for a great smoothie blender? Read our review of the Vitamix 5200 here.